“I sought for a man among them who would build a wall and stand in the gap before me on behalf of the land, that it should not be destroyed…” Ezekiel 22:30. This is what the meme looks like on Facebook. 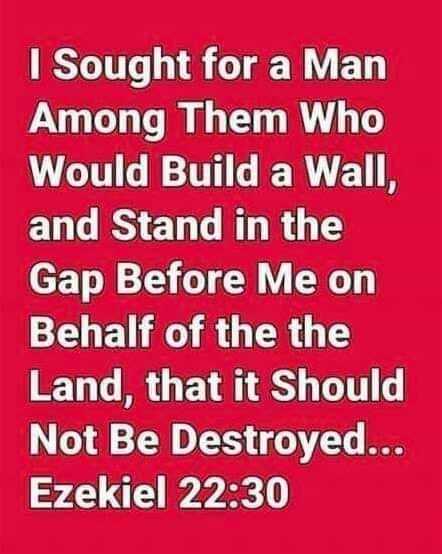 Unless I am wrong, the inference and purpose of this meme is, this Bible verse supports building a wall on America’s southern border. At least this seems to be the purpose…if you see it as something else, please let me know. First, if you are going to use a Bible verse to support some political idea regarding immigration and border security, at least quote it accurately. Notice the scripture in the meme is only partially quoted. The last part “but I found no one” was omitted and not only that, an important word has been changed. The author of the meme chose to change the word “I” to “it.” Thus, bringing an entirely new meaning to the verse. The “I” in the original verse is “God.” The implication in the meme is that if the wall isn’t built the “land” or “it” will be destroyed by some outside invader. This could not be any further from the truth of the original verse’s meaning. And the “Wall” is not a literal wall…it is a metaphor. God wanted someone to build a wall of righteousness and stand in the breach where the wall of righteousness had been broken down. The reason for the breach or gap in the wall was addressed in the prior verse (Ezekiel 22:29). It was because the people of the land mistreated the poor and needy and wrongfully oppressed the stranger. So, this verse is about God’s judgment on Israel for their rebellion, for their continued sinfulness of mistreating the poor and needy, and for wrongfully oppressing the stranger. This was NOT about America building a wall on its southern border. To use either verse to support some political position for building a wall to keep strangers out or a welcome mat allowing strangers into the land, is a misinterpretation and misapplication of the scripture. Now if you want to take Jesus’ words from Matthew 25: 34-46 as a pattern for how the stranger should be treated that would work…It is a New Testament mandate Jesus gave to the church. It’s an actionable way of demonstrating love for God and our neighbor…the two greatest commandments. I highly encourage you to read that text to get Jesus’ view on the subject. The only Kingdom the Christian should be concerned with is the Kingdom of God. It saddens me to see Christians more concerned about the kingdoms of this world, the politics and parties of this world than they are the Kingdom of God. As believers we are not part of the systems and kingdoms of this world. What about you? Are you tired of all the political infighting? It’s time we quit abusing and proof texting the Holy Scripture just to make a political point. 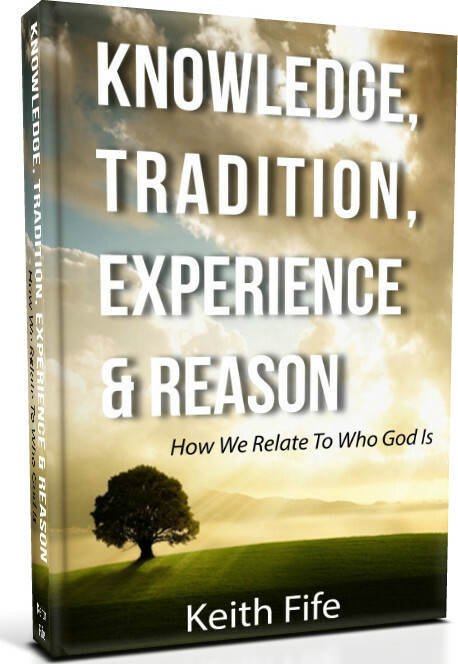 Are you ready to totally embrace the Kingdom of God and pledge your allegiance to Him? I am, and I hope you will join me.